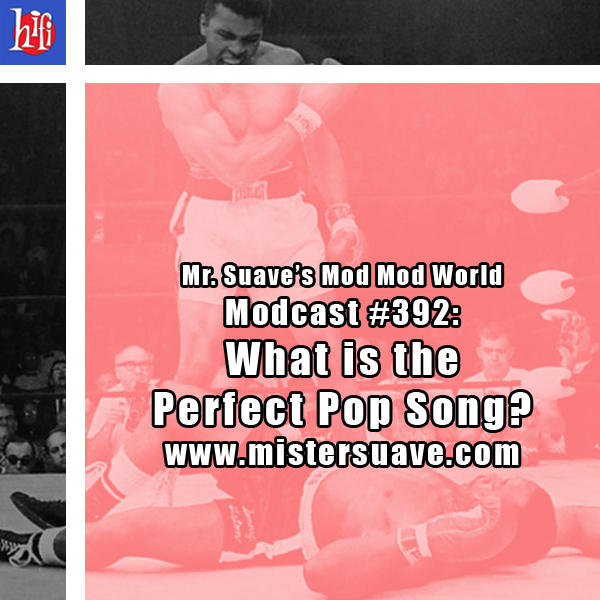 Mr. Suave's Mod Mod World: Modcast #392: What Is The Perfect Pop Song? What is the perfect pop song? Good luck on getting an answer. Most of us can't agree on what a pop song is, let alone which ones are perfect. Or near to. 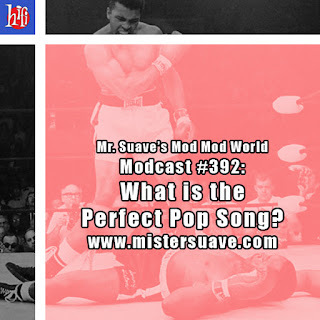 But, Mary Queen of Cosmos had the guts, the chutzpah, the balls if you will, to take up Mr. Suave's challenge to figure out the modern day perfect pop song. It's a good show with quote, "a lot of good upstroking and downstroking", so you know you're going to enjoy it on some level. What do you think? What is the perfect pop song, if there is such a thing? Are any of these that? I'll be the judge. The jury. And the executioner. If the Queen of Cosmos is lucky she will while away the rest of her life in musical purgatory. But if she's very, very lucky (hint, hint, I'm the judge) she won't have to pay for all the vodka she wasted making all those cosmos to make this show listenable. 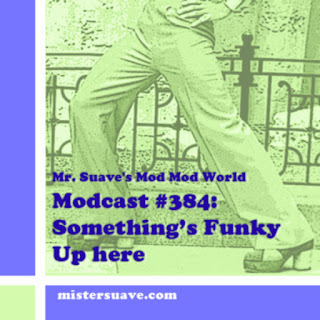 Hey Mr. Suave, great show. I'd have to add a near perfect pop song. Simple Minds, Don't You (Forget About Me). Definately has all the pieces you mentioned. When you and the co-host began mentioning perfect albums toward the end there I literally spoke "Quadrophenia" just as you did and I had to laugh. Even though you said you have some issues with it. I'd put that Who album as near perfect as you can get. And, I just got back from the LA show of Pete Townshend's Classic Quadrophenia and have to say that it is a near perfect if not totally perfect album (for me). Love to see if you have an upcoming show for (Near) Perfect Albums. Keep up the great work. I love hot Bollywood music, music that makes me go zinga-zinga! And who can forget those Samali pop songs? Fuhgeddabout it!